A £30 nVidia GeForce GT220 graphics card is capable of cracking strong passwords in a matter of hours. An nVidia GeForce GT220 graphics card, which costs about £30, is capable of cracking strong passwords in a matter of hours. Security experts at UKFast say they were able to crack a six-character password in 12 seconds, a seven-character password in less than five minutes, and an eight-character password in four hours. The current top-specification graphics cards, costing around £600, make light work of password cracking, processing 10.3 billion passwords per second. "People have worked out that the processing power of graphics cards, due to the architecture of the chips, is more powerful than a normal processor for doing certain tasks," said Neil Lathwood, IT director at UKFast. 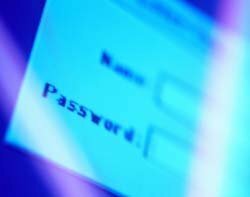 Stuart Coulson, a security expert at UKFast, said: "Nobody is immune to the damage a weak password can cause - even those in high-powered positions of authority. Every extra character makes the hacker's job more difficult because there are so many more possibilities for what that character can be, and the more you can introduce to your password, the safer it is."